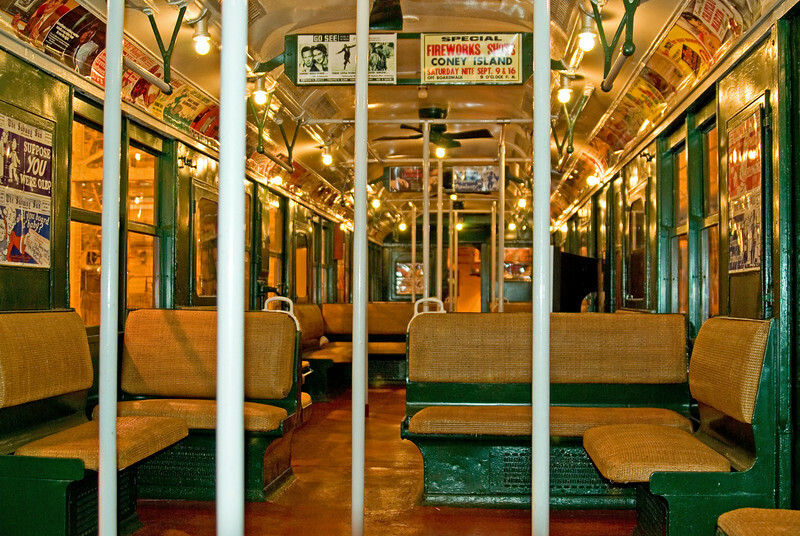 This photo and the next 4 are of a subway car circa 1930's. My boss took one look at this car and said "This thing is a death trap!" Notice the open circular fans in the ceiling and the bare incandescent bulbs. The seats look comfortable tho. And the advertisements were fun.